Located in Waikiki one block from the beach. 2 bedroom 2 bath partly furnished (appliances only) apartment with one assigned parking stall and a 120 sq. foot lanai. Rent includes Cable TV Package. Internet is $29.95 for basic package through Hawaiian Telcom. Tenant pay electric. Windows open for cross breeze, no need to run a/c full time. Water, sewer and trash included in the rent. ABC Store located in on the ground floor of the Wailana at Waikiki. 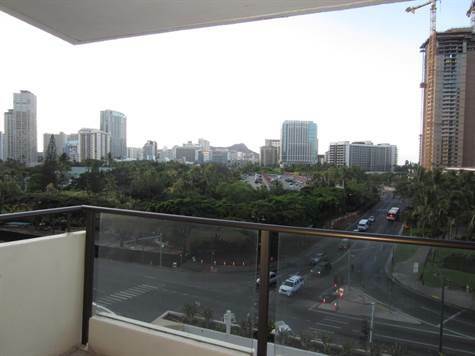 Across the street from the beach and a 10 minute walk to Ala Moana Park and Ala Moana Shopping Center. Lots of restaurants within walking distance of this corner.